← Christmas Art Fair on! Happy New Year to all supporters and patrons of the Cambridge Art Salon! 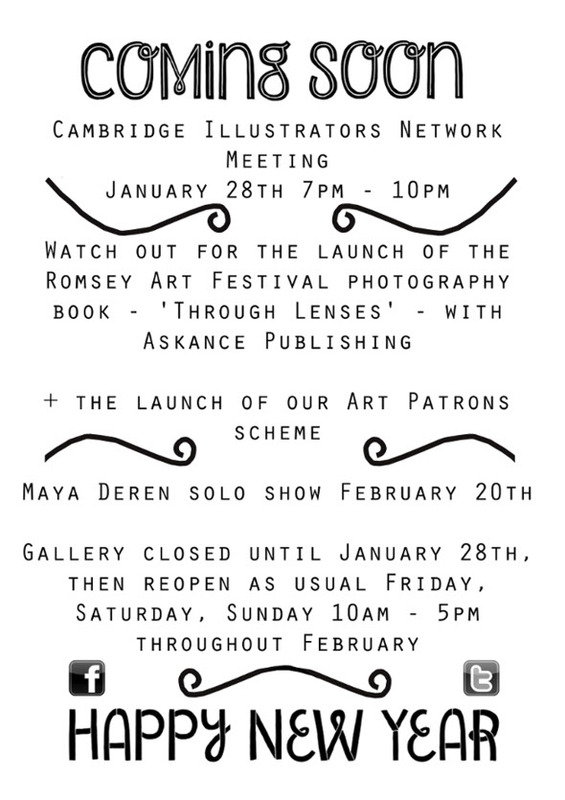 We reopen for the Cambridge Illustrators Network Meeting in the Gallery on Tuesday January 28th, 7pm – 10pm. The Gallery is closed up until January 28th. We reopen as usual Friday, Saturday, Sunday 10am – 5pm throughout February. On the 20th of February we have the Maya Deren Solo Show.